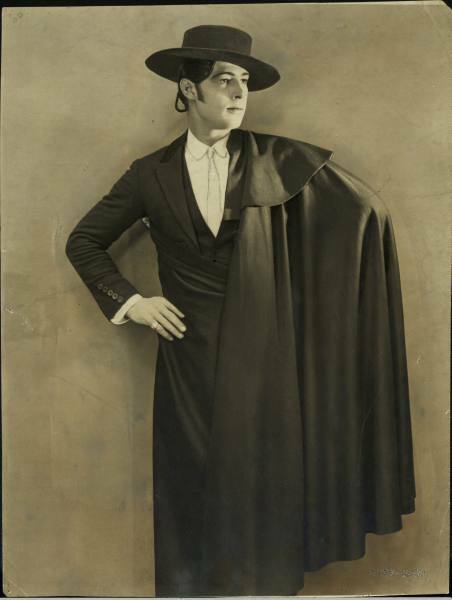 Why a Spanish Gentleman or a Toreador? 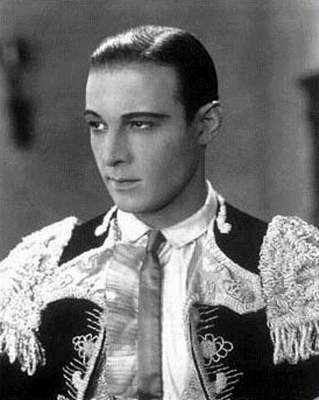 By the time this pattern was released, Rudolph Valentino (an Italian, but let's not quibble) had been dead for six years, but his 1922 film Blood and Sand had been wildly popular, particularly with women. Señor A does look suspiciously like these images of "the Latin Lover," as he was known. Whoa, I just realized that my ex-boyfriend looked quite a bit like a chubby Valentino! I admit to still being attracted to that costume. Did anyone else notice Rudolph's eyebrows? They go on forever! Interesting, that. 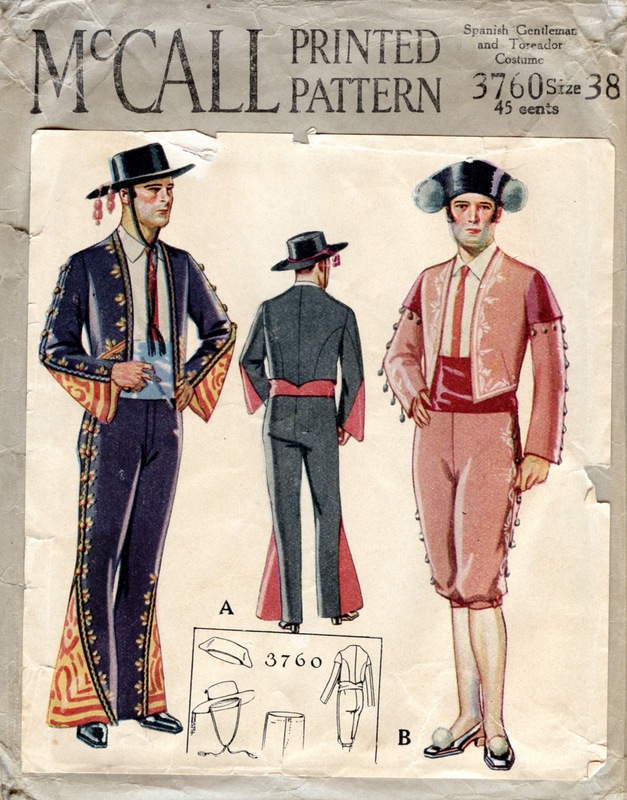 I think I'd be hard-pressed to get my husband to wear an outfit like this. 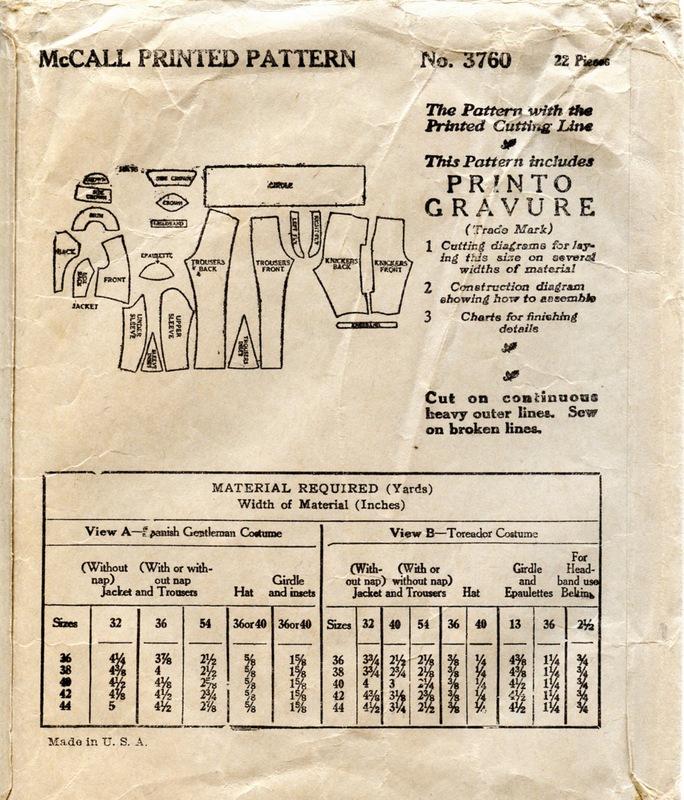 AMAZING pattern find! I LOVE it! 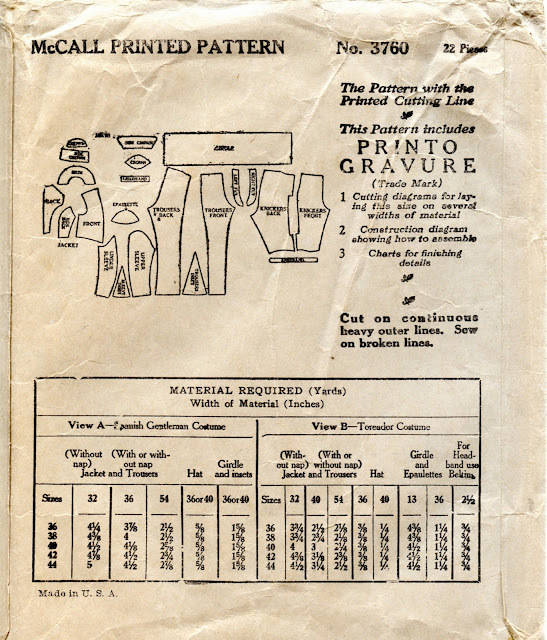 None of the patterns on this site are for sale. Tracings are not available.